Big & Rich are America’s Technicolor cowboys, brothers-in-arms in service to the creed that great music has no boundaries. Individually, John Rich and Big Kenny are first-rate musicians, songwriters, producers, entertainers. Together, they are one of the most truly original musical forces ever unleashed on a welcoming world. Big & Rich have made a career of being relatable and musically relevant since exploding into the public consciousness in 2003 as the rarest of breeds—true country music game changers. With 2004’s triple-platinum “Horse of a Different Color,” they were able to tap into the best strands of a wide spectrum of popular music, filter them through their pens and voices and produce a sound that is instantly recognizable, if not classifiable. William Kenneth Alphin, best known by his stage name Big Kenny, is an American country music singer. He and John Rich comprise the duo Big & Rich, who recorded four studio albums and charted fifteen singles on the Billboard Hot Country Songs chart. Before Big & Rich, Big Kenny recorded a solo album, Live a Little, for Hollywood Records in 1999 (although it was not released until 2005) and fronted a band called luvjOi. He has also written or co-written several of Big & Rich’s songs with Rich, as well as singles for Gretchen Wilson, Jason Aldean, McBride & the Ride, and Tim McGraw. His first solo single, “Long After I’m Gone,” was released to country radio on August 3, 2009, from the album, The Quiet Times of a Rock and Roll Farm Boy. John Rich is an American country music singer-songwriter. From 1992 to 1998, he was a member of the country music band Lonestar, in which he played bass guitar and alternated with Richie McDonald as lead vocalist. After departing from the band in 1998, he embarked on a solo career on BNA Records in the late 1990s, releasing two singles for the label and recording Underneath the Same Moon, which was not released until 2006. In 2001, he self-released Rescue Me, an album he was inspired to record by a cancer patient named Katie Darnell. 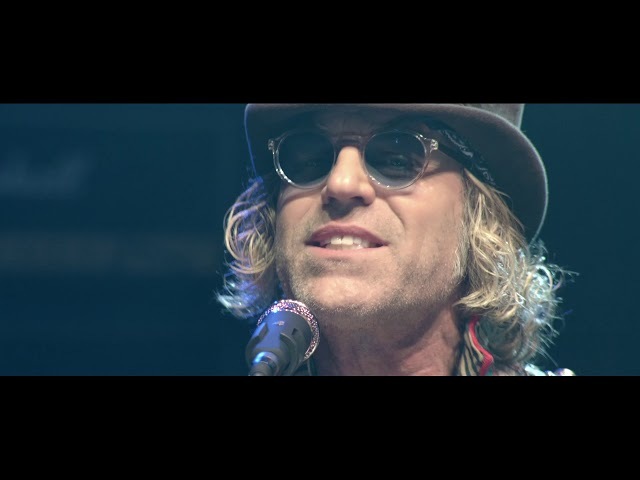 By 2003, he joined Big Kenny to form the duo Big & Rich, who released three albums on Warner Bros.